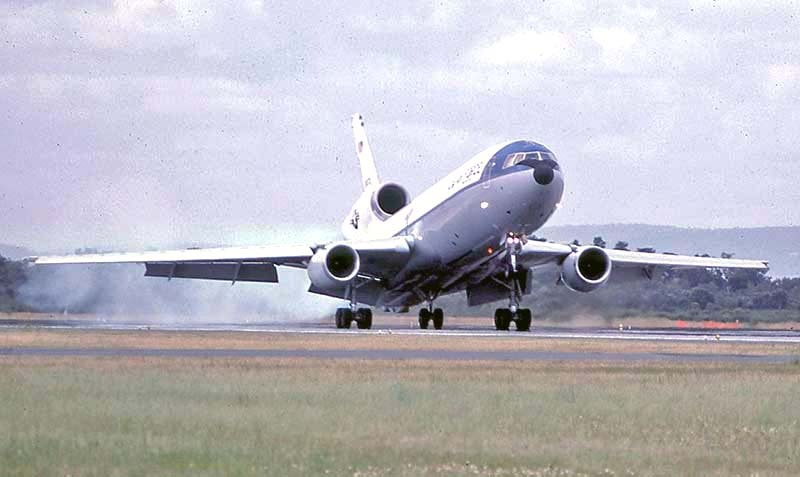 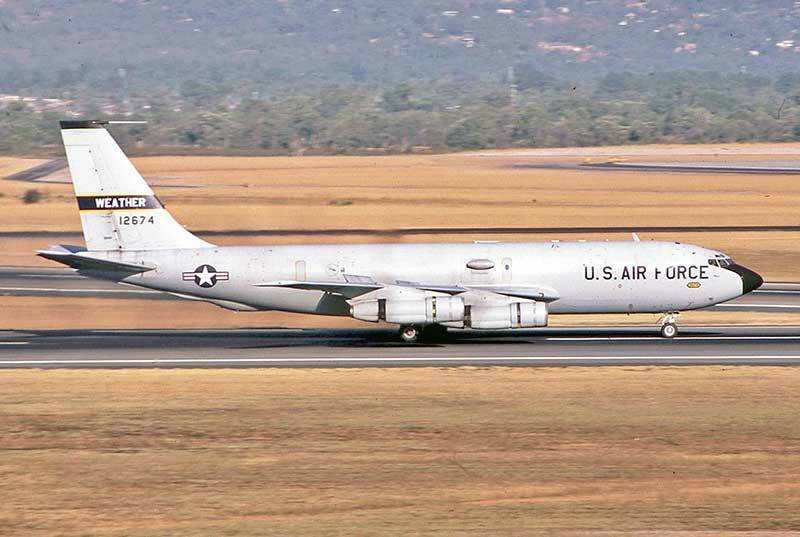 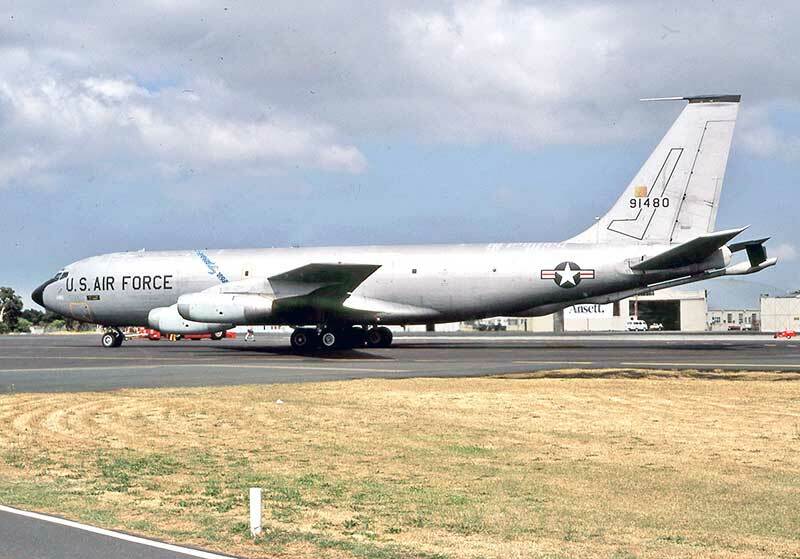 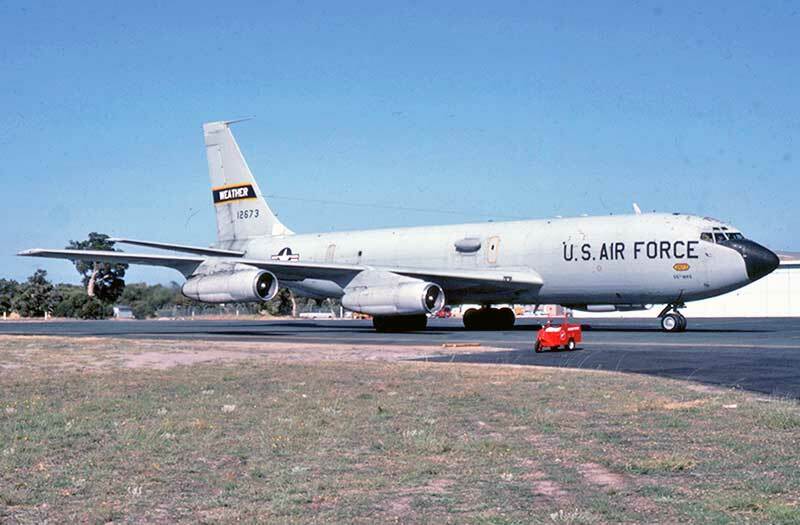 WC-135B 12672 LARK 99 on arrival from Diego Garcia in the Indian Ocean in February 1982. 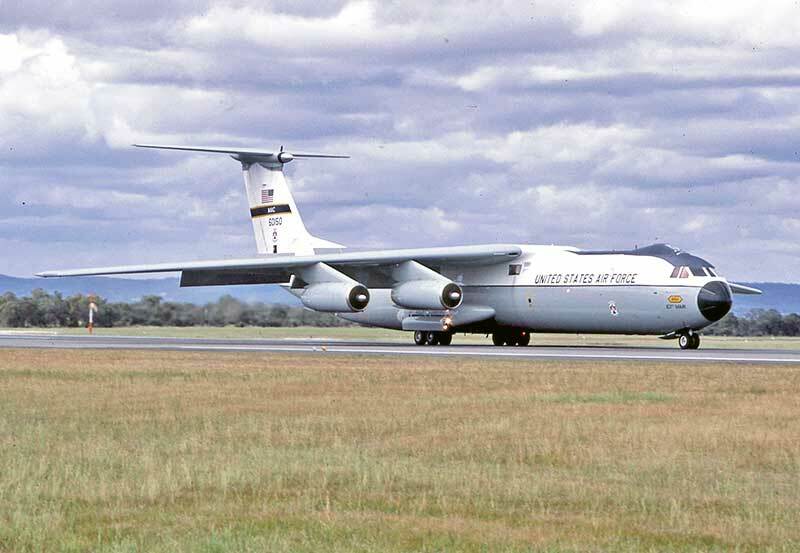 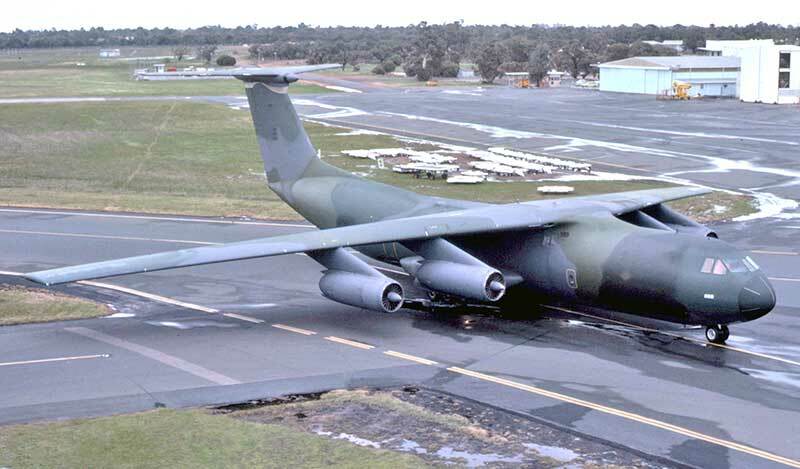 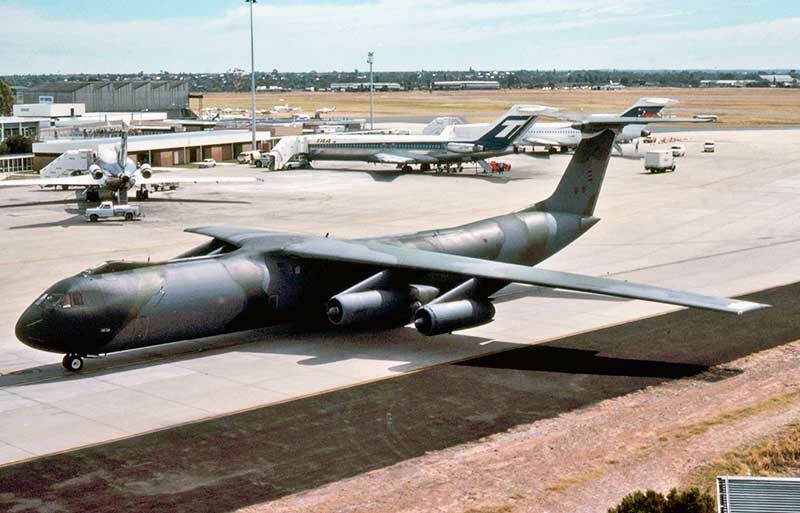 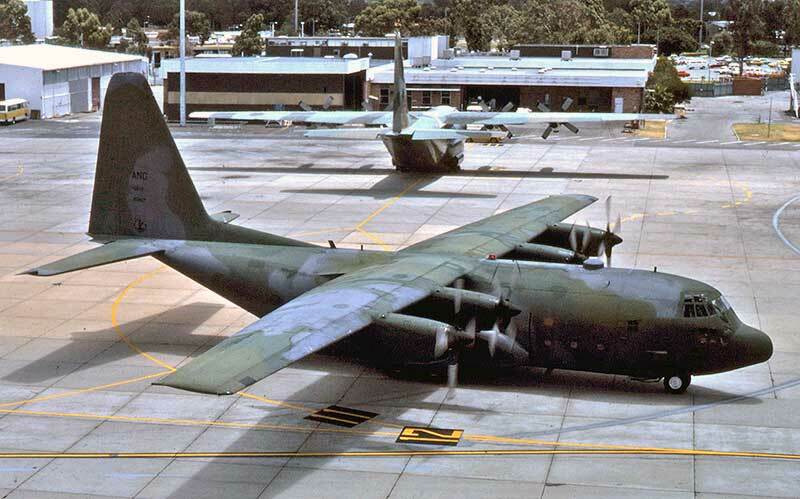 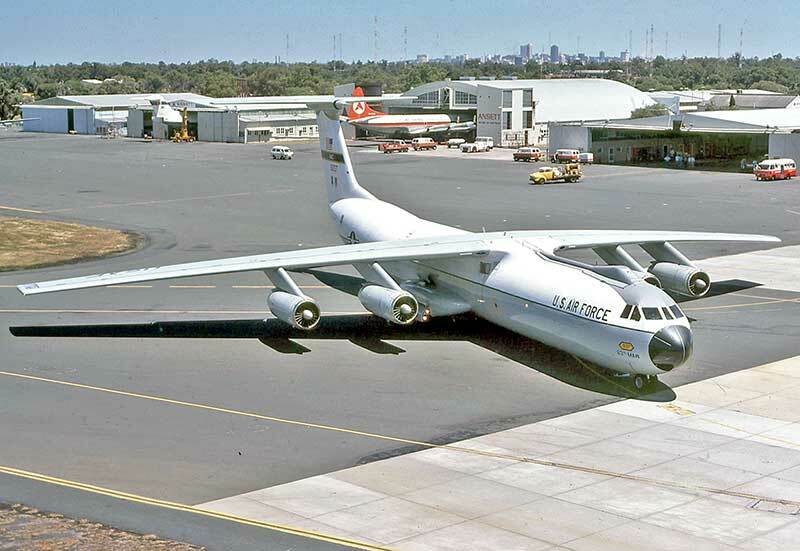 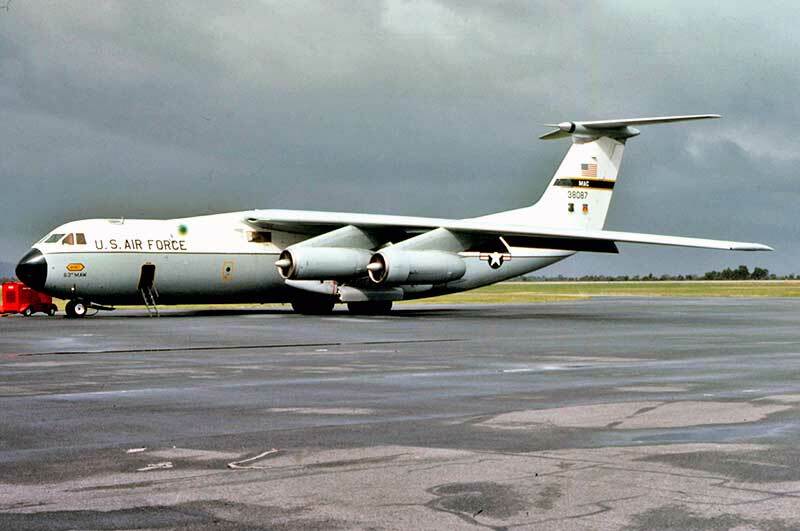 The first visit of the stretched C-141B was 60137 in October 1980, seen on taxying after arrival from Pago Pago direct. 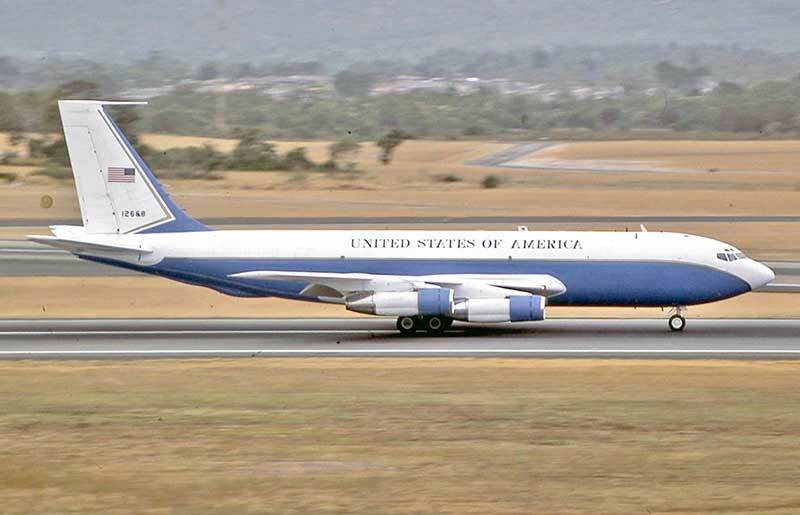 during the flight from Jakarta to Perth. 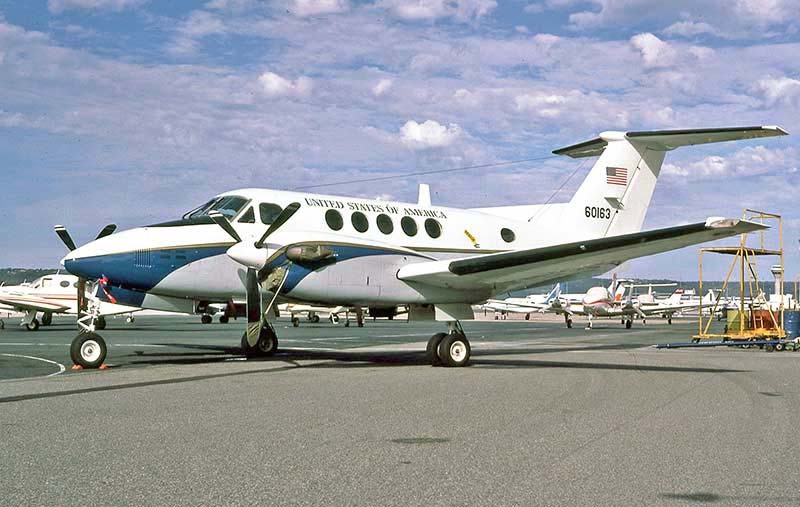 At the other extreme of USAF flying was crewing Beech C-12A Huron 60163 for the US Embassy in Canberra. 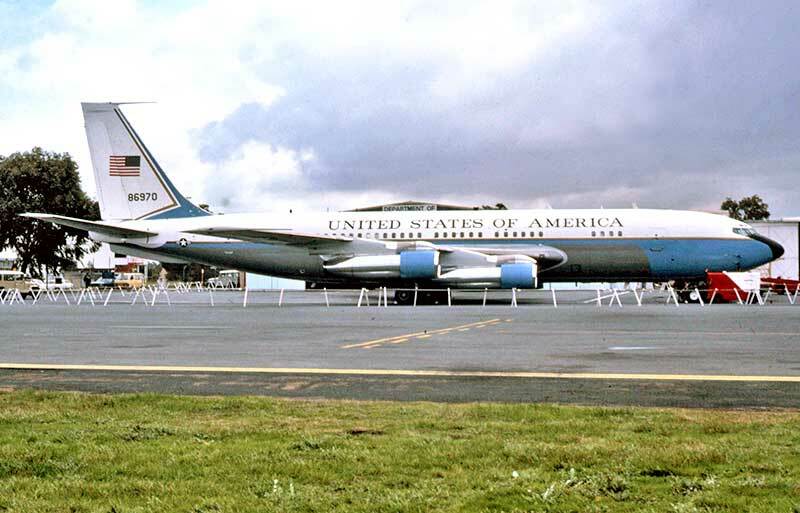 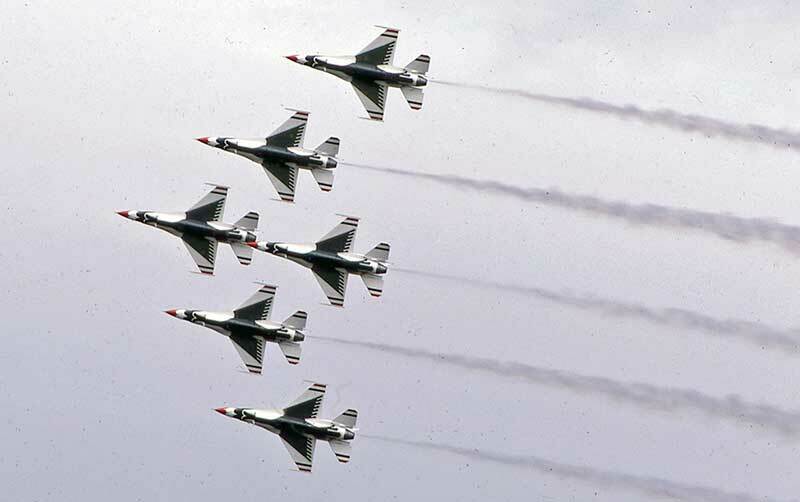 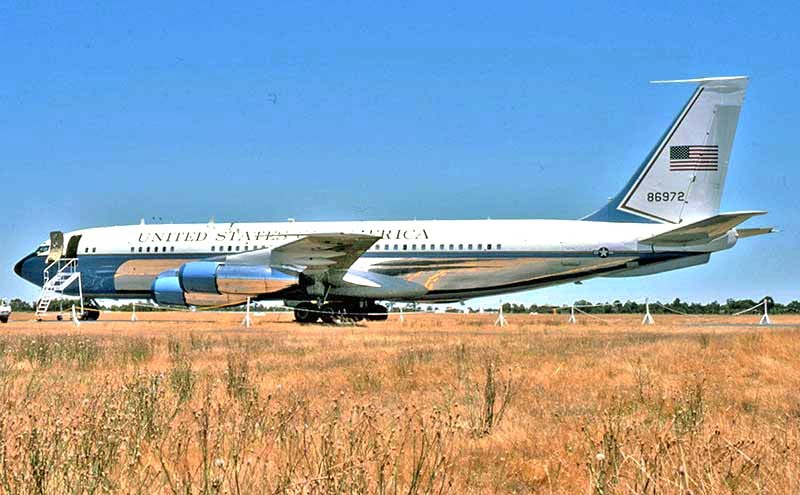 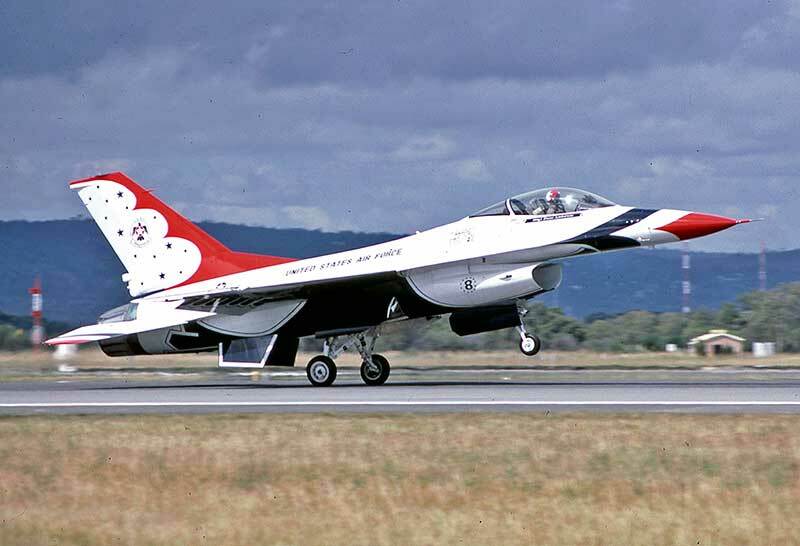 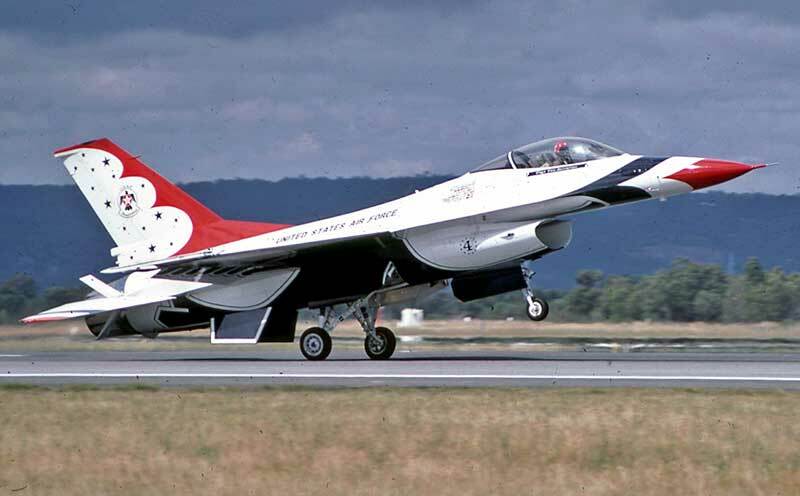 Also wearing United States of America titles were the VIP Boeing VC-137B fleet. 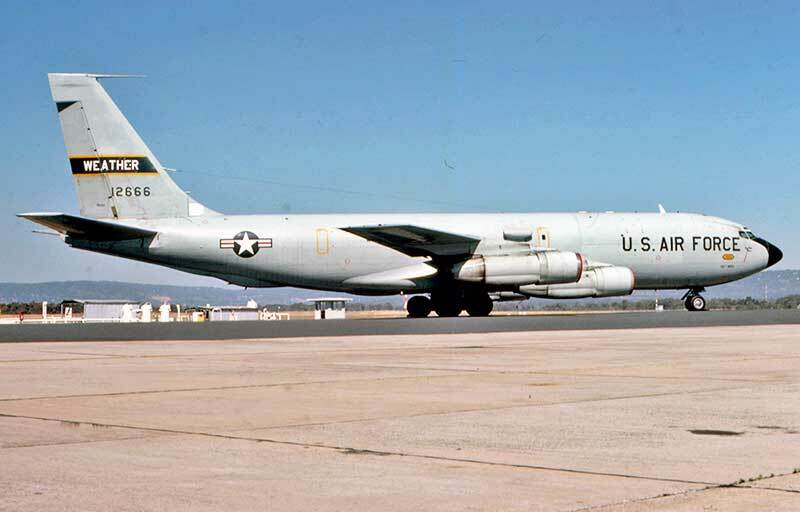 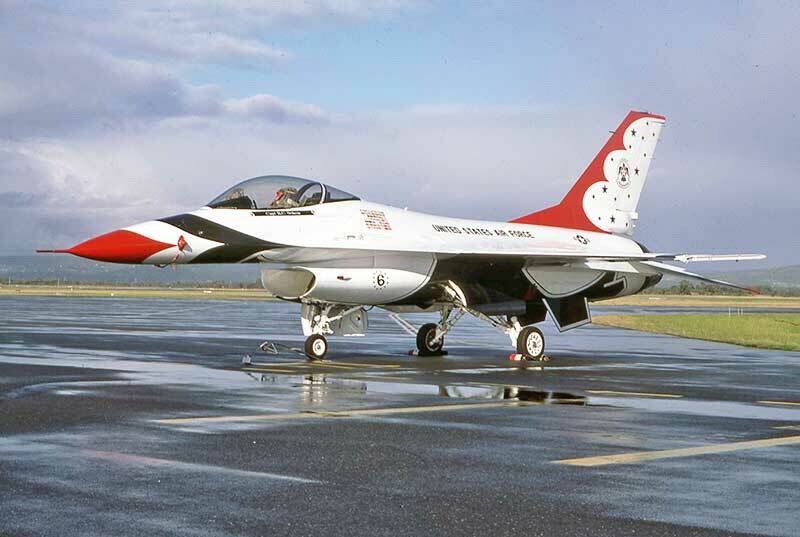 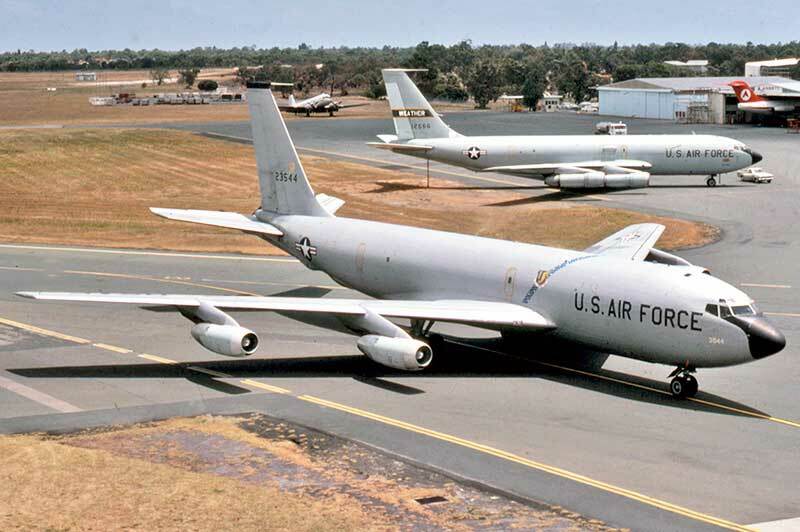 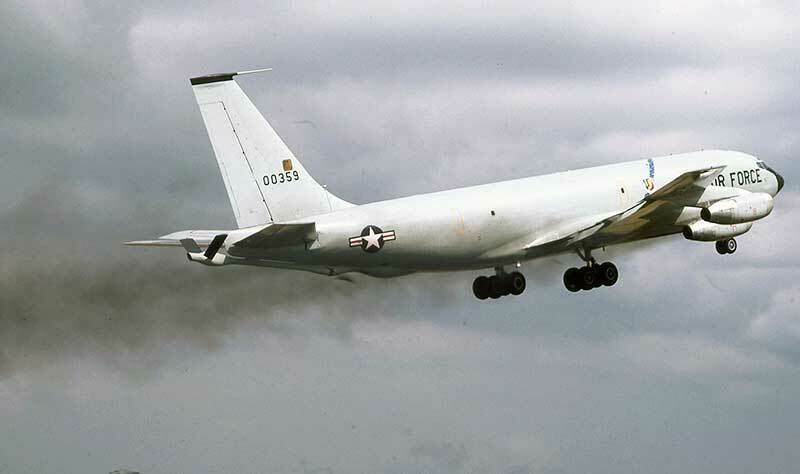 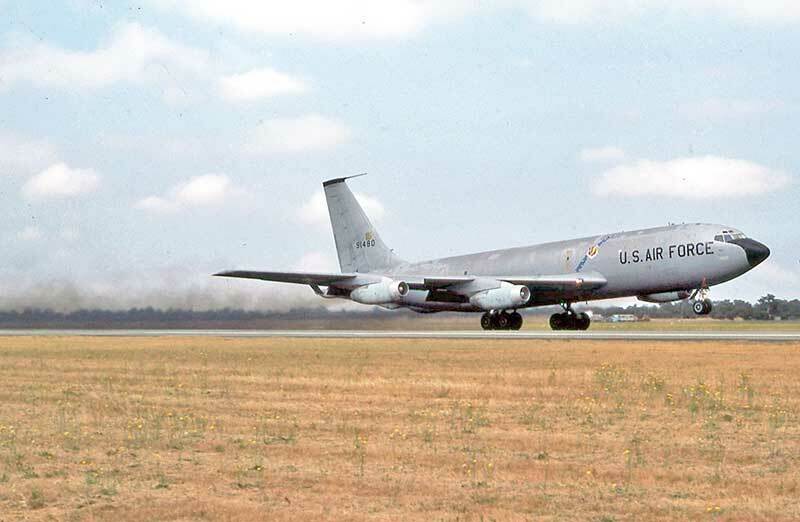 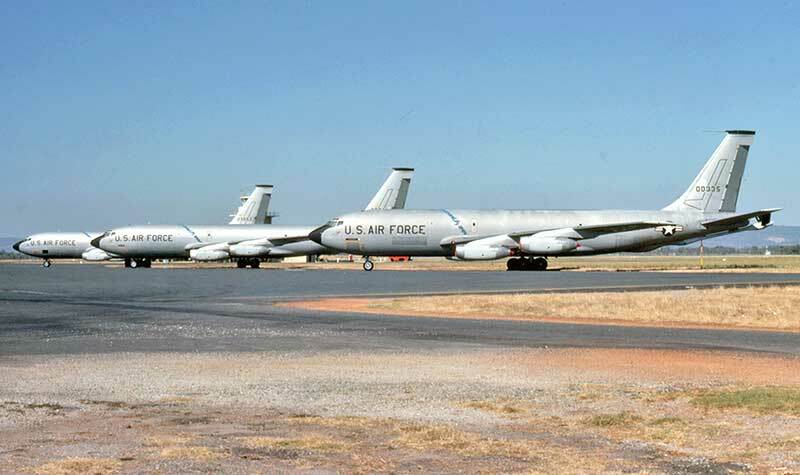 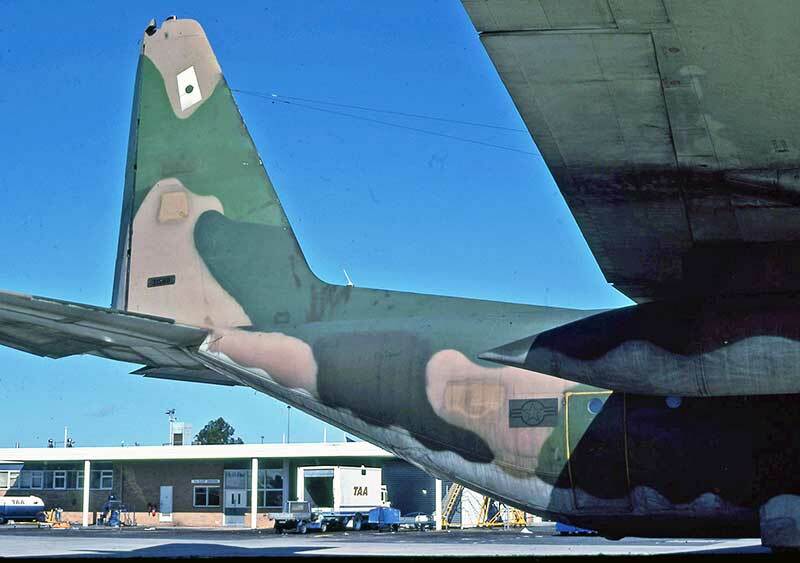 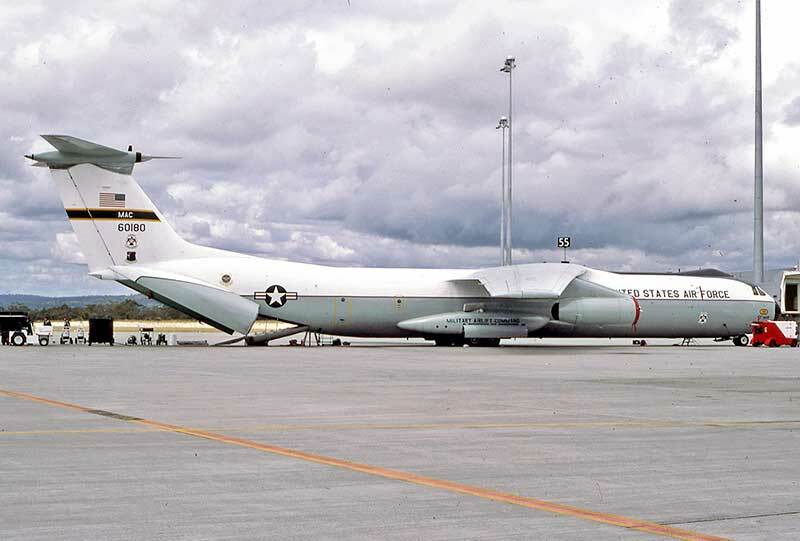 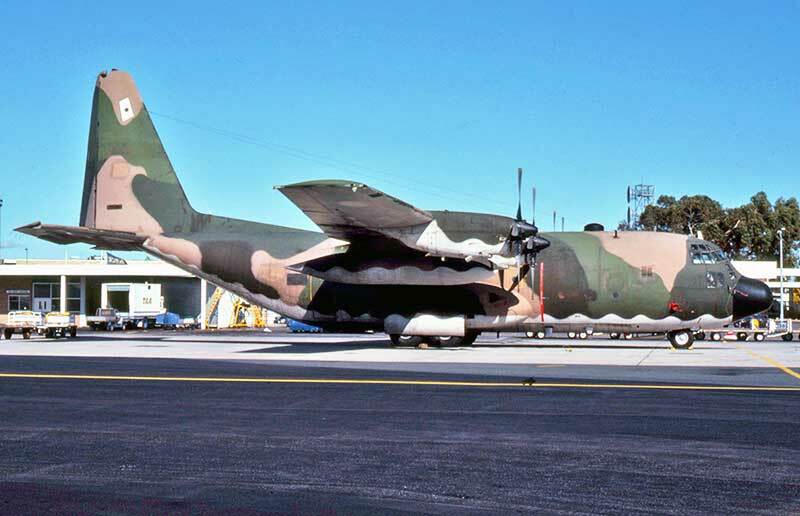 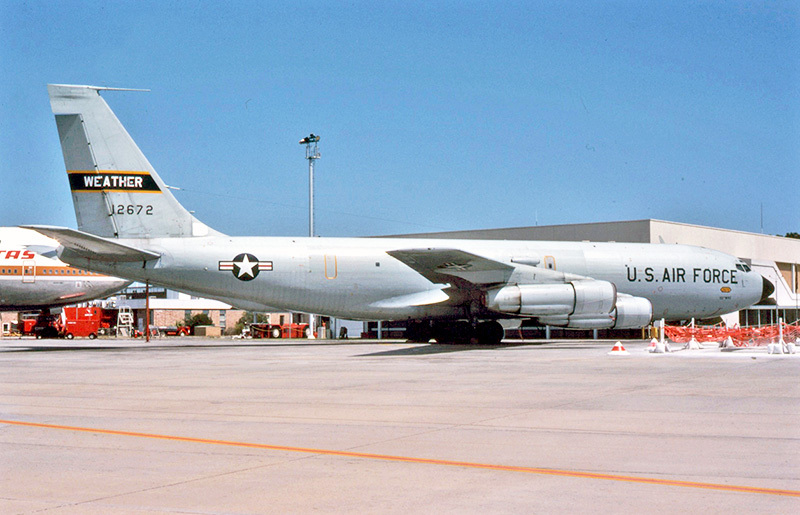 An example of the shorter KC-135 series, re-engined and modified for VIP use which were designated VC-135Bs.